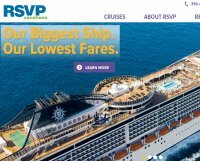 Since 1985, RSVP Vacations has been the gold standard in gay and lesbian cruises. We were the first to offer an all-gay vacation experience and quite simply, we're the best at what we do. Through the years, we have welcomed and entertained over 100,000 guests from around the world, creating unique experiences that bring together gays, lesbians, and straight allies from all walks of life, celebrating the immense diversity of our community. It all starts with full-ship charters on the worldâ€™s finest ships, big and small. But the magic happens when RSVP brings together a group of friends, a world of exciting entertainment, friendly parties, legendary service, and a relaxed social environment where you can truly be yourself â€“ any way you please.